Brexit, the EU and Africa: The Ghost of the Future - Africa M.E. The news of the United Kingdom’s decision to leave the European Union in June shocked the world, sending several currencies into turmoil, including some in Africa. Immediately following the announcement, the already tumultuous South African rand plummeted by 8% against the US dollar, the fastest drop since the 2008 financial meltdown. 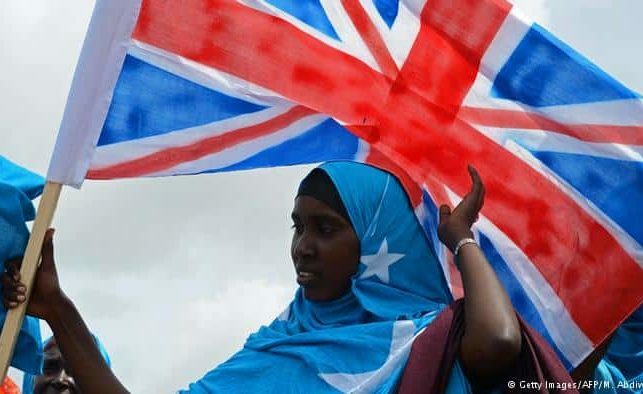 The decision, deemed the ‘Brexit’, is expected to have long term impacts upon Africa’s stance within the European Union: for decades, the UK has been Africa’s greatest ally, but with the imminent departure of the UK, Africans are worried they may be left stranded. The relationship between the UK and Africa is complex and laden with colonial history: the legacy of the UK’s decades of imperialism is still felt in the deep racial tensions in Southern Africa, and in the education systems of West Africa. This is demonstrated through the Commonwealth, where member countries (states that were at one point occupied during British imperialism) enjoy fewer trade restrictions, trade preference and/or free trade. Without the UK negotiating and handling imports from these countries, many African countries stand to lose their beneficial relationship with the EU. Of primary concern to many African leaders and business people is the future of existing contracts between their respective countries and the EU. Just one example of the potential impact of Brexit is the impending Economic Partnership Agreement between the East African Community and the EU set to take place later this month. The Kenya Flowers Association is concerned that the Economic Partnerships Agreement may not extend its current easy access to the UK, one of Kenya’s biggest flower export markets. The UK currently imports the majority of its flowers from Kenya thanks to a deal negotiate through the EU. This, and many other contracts, would have to be re-negotiated with the UK following the Brexit, which could result in less beneficial contracts for African industries. Realistically, the EU is not Africa’s biggest trading partner– China is. Some critics say the weight being given to the potential impact of Brexit on African trade is unwarranted. Sangu Delle, a Ghanaian entrepreneur and pan-African macro-finance specialist, said that the United Kingdom has been a major supporter of Africa in EU and G8 negotiations, and has a history of pushing for deals that benefit the continent. “It was instrumental in supporting development aid being allocated to Africa,” he said, bringing up the other major concern regarding Brexit and Africa. The UK is one of the biggest contributors to the European Development Fund, the EU’s international aid and development branch. Without the weight of the UK, many fears, the EU’s development funds may be re-directed to other African states where other members, such as the Dutch and French, have colonial-era obligations. Furthermore, without the contribution of the UK, the European Development Fund may be forced to scale-down its overall funding. Not only would a Brexit diminish the European Development Fund’s coffers, but it would deplete Britain’s influence on global development. According to DevEx, the EU is the world’s single largest donor organization: the 28 (soon to be 27) member group provides more than half of the world’s international aid total, around 30 billion euros. Without the weight of the EU, the UK will have much less sway in terms of ‘pet projects’, or specific areas it wants to develop both in Africa and beyond. Not all are pessimistic about what this means for the continent. Delle was quoted saying “Brexit, to me, is a warning to us all…it wasn’t about racism. A substantial segment of UK citizens feel disenfranchised– that they are not stakeholders in the new economic order. As we go about creating new African economies, we have to make sure that the economic systems we put in place don’t just create economic growth, but create shared economic prosperity.” This epitomizes the optimism that is needed to move the continent forward– both in terms of economic prosperity, and in building cohesive societies. Delle is optimistic that whatever the outcome, African’s will prevail– they are, after all, best suited to find context-appropriate solutions. “I’ve now spent time in 43 countries across Africa. The one thing I’ve seen in every one is resiliency. No matter what the socio-economic situation, whatever hand they’re dealt, people move forward.” In a time when the world seems to be unraveling, this type of level-headed analysis and faith in one’s own people is vital. Because, no matter what the outcome of Brexit, humans will move forward as they have done for tens of thousands of years.